Customers can now build their own utility bag based on their needs, and then reconfigure the bag when their needs change. They will no longer have to pack repack and reload their gear when they need more storage or less storage. The "FLEX" System is versatile enough to handle any situation from VFR, to IFR, to overnight, to a two-week trip. Simply switch around sections and pockets, and go on your way. The B2 Compute starts with the 2” Center Section, which is designed to hold 13” laptops. Add a Front and Rear End Cap and you have an extraordinary laptop bag. The Front End Cap allows you to store items such as power cords, backup drives, flash drives, digital cameras, smart phones, tools, keys, etc. Meanwhile, the Rear End Cap allows you to store your manilla folders and documents. This can be used daily or you can attach the 2” Center Section to any other FLEX module. For example, you can zip it in between the Front Bag and the Rear Bag when traveling. 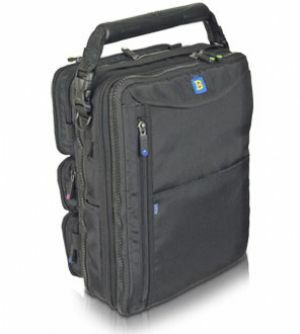 This bag also includes the Portfolio Handle which can be attached to the Front End Cap. This will only be used when you decide to remove the Center Section Two and zip the Front End Cap and the Rear End Cap together to make a "Portfolio Bag". Note: The new FLEX system is brand new. It is a different size and has different zippers that are designed to fit the pieces of the system. Because of this, FLEX System pieces will not fit with pre FLEX Brightline Bags. They will only fit on the new FLEX System. FLEX System pieces all have a small tag denoting they are part of the FLEX System. 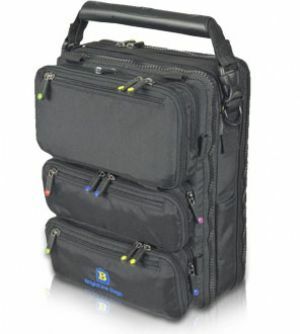 The new FLEX System bags include B2, B6, B10, B16, and B25.